Once a traditional and working class style of home, French country homes are now seen as aspirational. 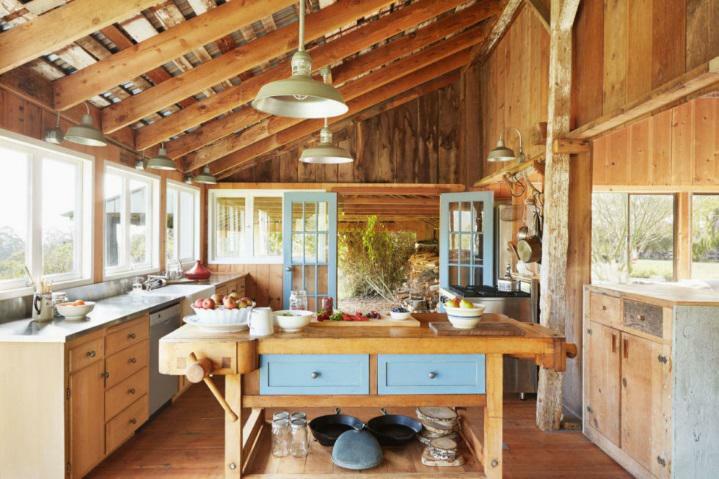 With more modern hope options available and technological solutions to almost every problem, simpler ways of living rurally are sharply being left behind, and many of us are looking to recreate the simplicity of French country living. Outside of the main cities, France is a mainly rural country brimming with beautiful landscapes and unique homes that have been standing for decades and sometimes centuries. The charm of these homes, which are often farmhouses, is that no two are unique and each tells a story of the family who has inhabited in that home for generations. 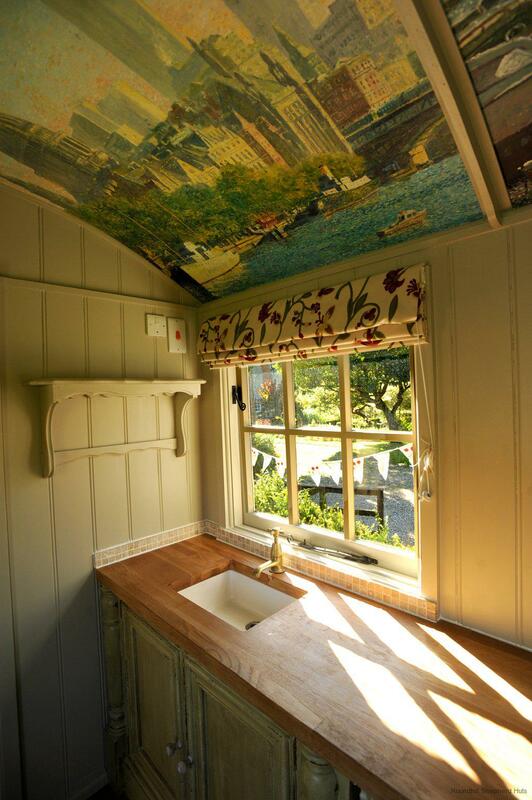 This is a tradition that is diminishing in most countries, but still remains in France, which is perhaps one of the factors attracting so many British and American homeowners to recreate the interior style of French countryside homes…that je ne sais quoi that isn’t easy to come by. French people are known for their easy going style and the focus they place on family time. Interior design in France envelops everything that is important to nurture a strong home for a growing family unit. 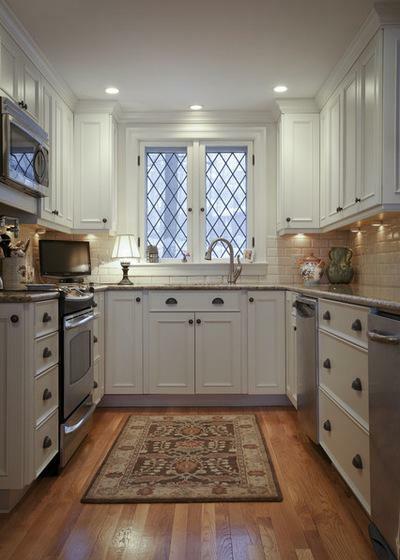 Lots of light and space is critical, with other elements to warm up the home and make it warm and welcoming. Mix that with the chic interior style that France is famed for, and you can see why people across the world are attempting to recreate French country lifestyles inside their homes. A crucial design element of any home are windows, an absolute necessary, but we need to consider the functionality of our windows and how we want to control their impact on a room’s atmosphere and the natural light entering our homes. 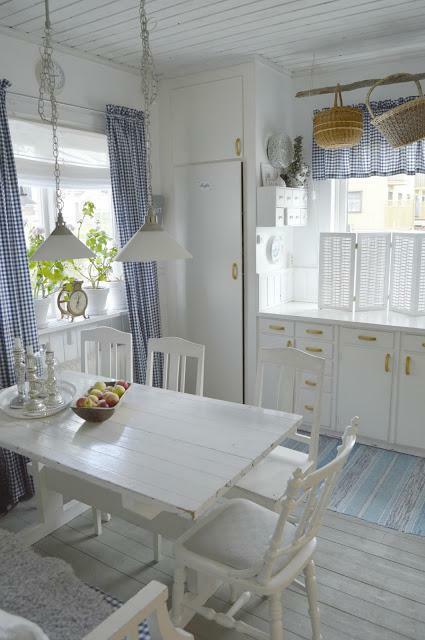 The way we dress our windows can dictate the style of an entire room and one change can transform a room immediately. 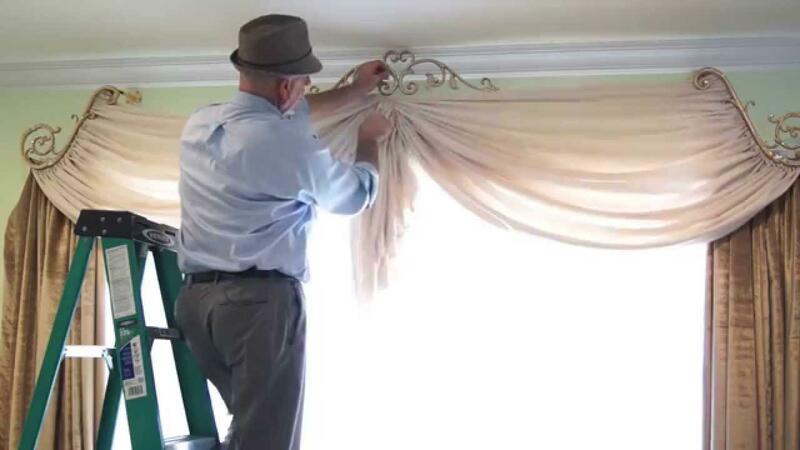 If it’s that particular French country style of décor you’re wanting to portray in your home, careful consideration of your window treatments is essential. Incorporating your own style is important, but if there’s a certain ‘look’ you’re aiming for, be sure to look around and consider all of your options before you make any decisions, and appreciate the difficult and commitment involved in achieving the perfect style. Elements that appear fantastic alone, might not work as well together. The relaxation and simplicity of French homes often looks effortless, but can be the complete opposite. Use specific window treatments to balance out colour, light and texture in your home. Soft furnishings, which can be important window treatments, are often one of the final touches you make to your home and usually a less expensive consideration, making it easier to experiment with new styles and make changes to your home as often as you’d like. From curtains and blinds to grilles and voiles, there are many options for French country window treatments from the obvious to the unusual, each with their own qualities and charm to help anybody recreate the same level of chicness found in French country homes. If any pattern print has stood the test of time, it has to be checked gingham. 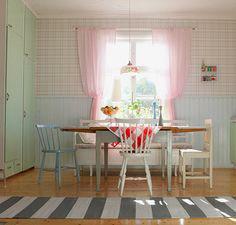 From designer shirts to the tops of jam jars, gingham print curtains and valances can add a homely charm to any home. Perhaps most often seen in red, gingham furnishings are available in a wide range of colours, from the boldest of primary colours to much more understated and simplistic pastels. Light gingham fabrics that remain unlined are an excellent choice to add pattern and style to your room that still allows natural light to flow through the cotton and light up the entire room. An obvious way to pay homage to the great outdoors and celebrate the countryside outside your home is with floral window treatments and décor. The options for floral curtains and voiles are almost endless, with an infinite choice of prints and patterns, from bold and beautiful to dainty and delightful, you’ll also have no challenge in finding the floral window treatment with the perfect colour palette for your country home. For a chic and sophisticated French look, stick with light florals and lace decorations, but for something more traditional and with a greater ode to the countryside, go for bigger and busier prints. 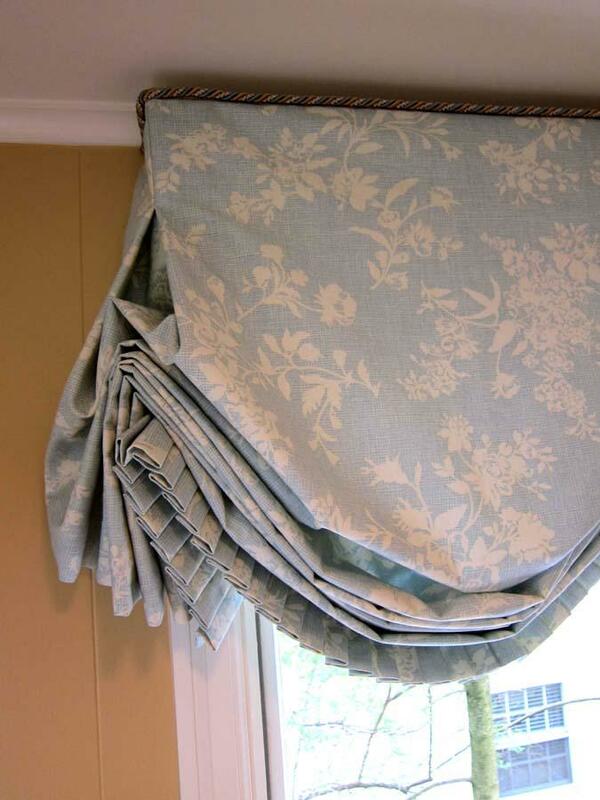 If you’re not fond of the obvious choice of window treatment or you’re lacking in space to add curtains as your window treatments, think about adding a heavy and elaborate valance to the top of the window. 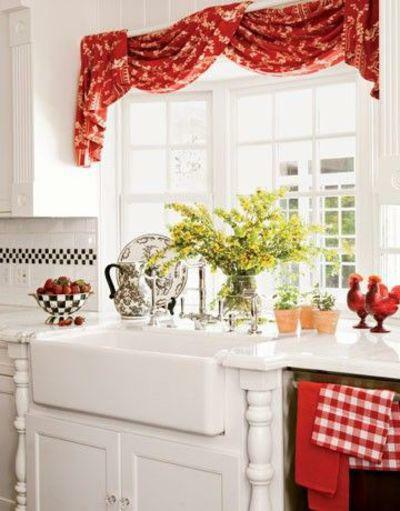 Draping fabric with embellishments or complex prints can have a massive impact on the tone of the room. As a main focal point of the room due to the entry of natural light, the valance you choose to frame the window will have a major impact on the overall style of the room and how the elements of the room all work together. Darker and richer colours can bring passion, meaning and feeling to a home, but it can be overpowering. If warm and cool tones are balanced correctly and the room is open to plenty of natural light, dark colours can create wonderful moods that are perfect for socialising, which should be at the heart of every French country home. Dark window treatments will have a wonderful impact, but to maintain that je ne sais quoi and calmness of the French countryside, the dark colours shouldn’t be too heavy or be too obstructive to the outdoor light and air. Alternatively, if you’re aiming for a bright, crisp and fresh style of home you should be opting for pastel shades to dress your windows. 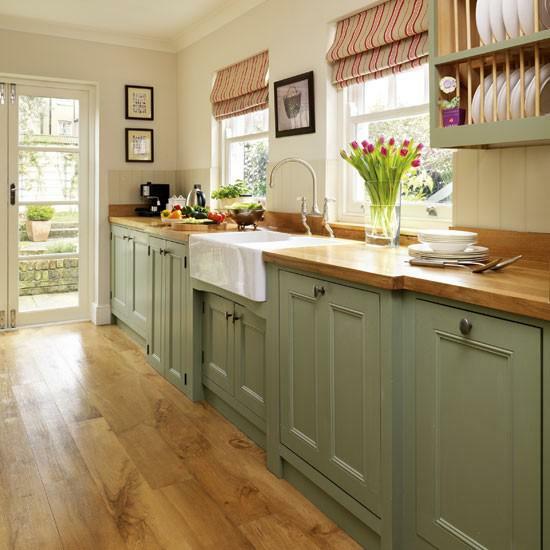 While this does add colour to your home, you can be in control of just how much colour you inject here. While a mix of soft pinks and lemons will give your home a panache of mellow springtime, plainer shades of white and cream will neutralise your window treatment and add a touch of understated simplicity. Pastel shades in print are also a fun way to bring a bit of personality and variation to your home without being overpowering. To achieve a genuine county home, take your inspiration from the French countryside and its way of life. Mix French style and timelessness with all of the functionality of a family farmhouse home. Durable appliances need to appear alongside features that show the age and life of the home, including exposed beams and bare brick walls. Utilise features like these as key focal points of the room and make sure you don’t take genuine and unique features like these for granted. 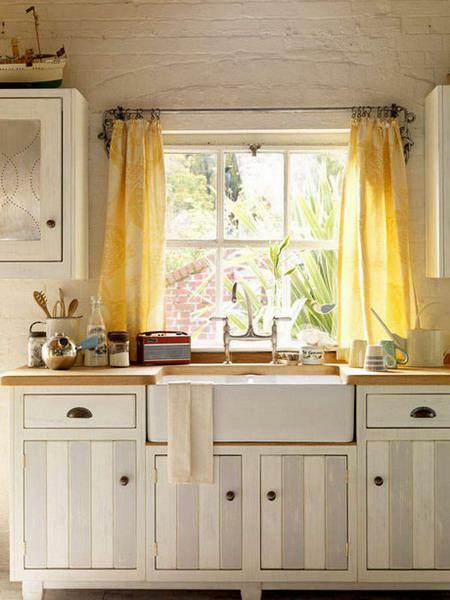 If you’re trying to recreate the French country window style in an urban or newly built home, there are ways to mimic antique farmhouse style without altering the structure of your home. Roman blinds are the choice to make if you’re after more flair, texture, and shape in your window treatments. The thickness and the style of the fabric can be entirely your choice depending on your colour palette and the mood of your home, but almost any Roman blinds will add grace and shape to your home. 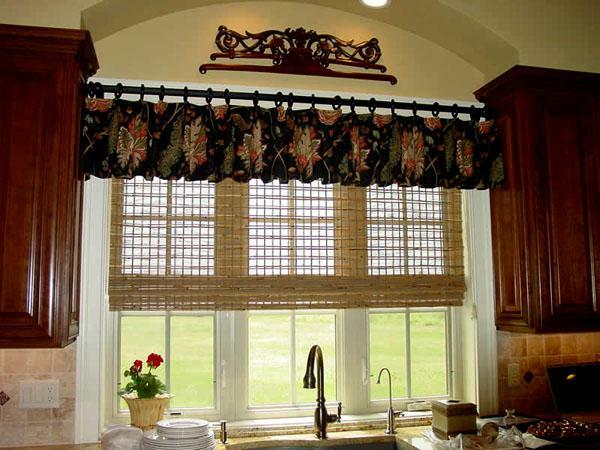 If privacy isn’t an issue to you, Roman blinds can still create a beautiful focal point and when fully or partially opened create a look similar to an elegant and extravagant window valance. 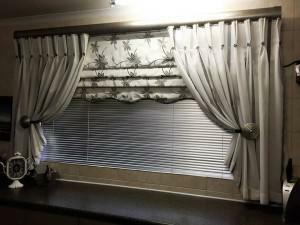 The most popular choice of window treatment has to be the curtain, which is a fantastic way to add personality and softness to a busy and working country home. Window curtains can be any length entirely, from café style curtains that provide a bit of privacy from the outside world to floor to ceilings that give any room a sense of grandeur and will frame your windows greatly. Stick to simple cottons that don’t restrict any light entering the home. 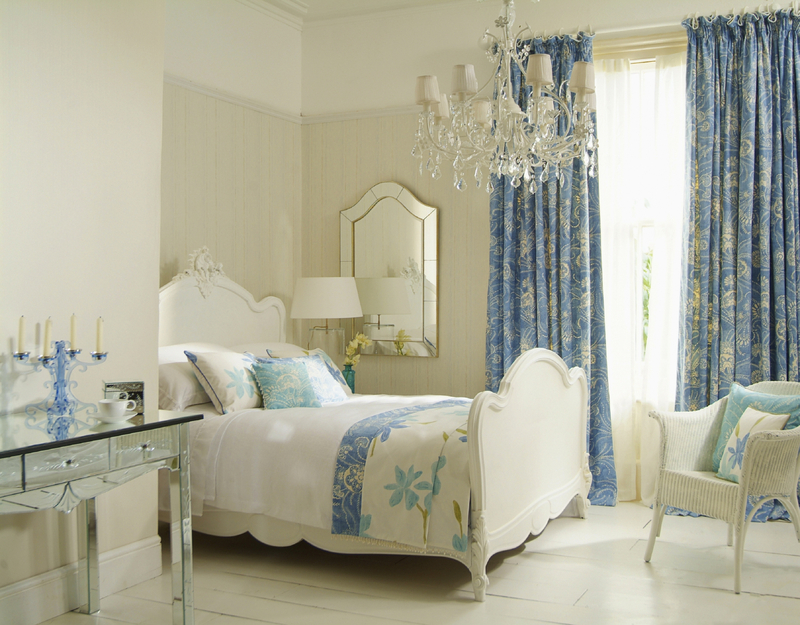 Traditional floral prints are a sure way to create a typical French country home, but if chic and simple is more to your taste, go for light and perfectly draped curtain fabrics. Metallic accents aren’t the most obvious design feature when it comes to French country style in the home, but smaller metallic details can make a big difference and sway the tone of the room from antique to transitional and even contemporary. The choices you make for fixtures and fittings such as tiebacks can contrast or complement the larger features of the room and the style of them will have a major influence on the room. Brass fixtures that look aged will give the room a more rustic feeling, but cleaner silver and gold finishes will nod to the contemporary. 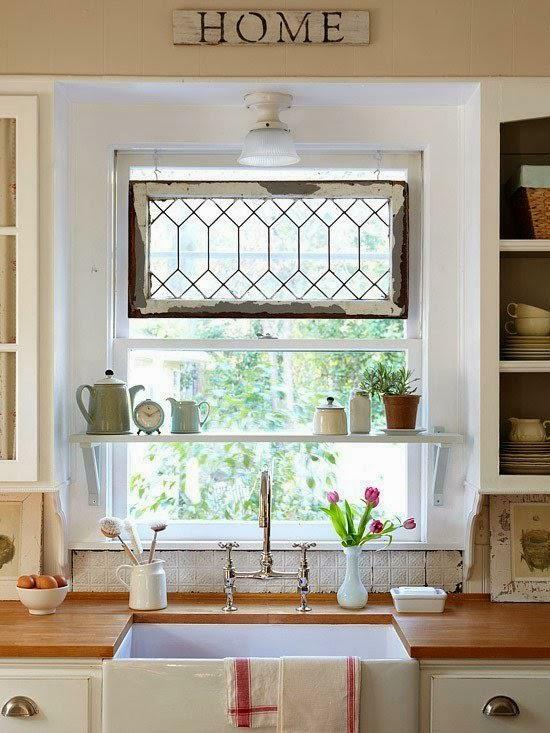 The purpose of any window is to allow light, and usually air, to enter the home. Without this, homes can become moody and tense places. In the French countryside, it’s easy to see why dwellers would want to open up their homes to the great outdoors, with areas of vast greenness and beautiful landscapes. Lighter curtain fabrics like cotton will provide privacy but won’t have your home feeling like a fortress, and lighter colours will make it easier for light to pass through. Don’t forget that if you have wooden window frames you can completely change the mood of your window with a simple lick of paint. The most popular options in are to stick with the natural colour of the wood for a timeless and rustic vibe, or a plain white frame that acts as a neutral setting beyond the business and colour of the softer window treatments. If you’re aspiring for a home that has its own unique and quirky style, go for a brighter coloured window pane that stands out or complements the rest of the home. If you’re not looking for full length curtains but want to give your home a bit of privacy and light control, café curtains could be just about perfect. 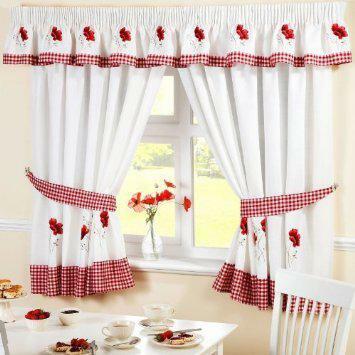 Traditionally less expensive to make or buy than full length curtains and not hanged very high so they can be washed and changed as often as you’d like, café curtains will give your home a kitsch and cute look, but you can mix this with modern elements for a lovely twist. The material and colour of your curtain pole is another route to bring colour and texture to your home at eye level. A charm we often come across in traditional French country homes is the accumulation of heirlooms and meaningful trinkets that give each home individuality and allure. A complete assortment of family treasures isn’t always the best recipe for a stunningly stylish home, but one or two unique pieces can give your home a real touch of genuine French family home style. Using older fabrics to make your own curtains or tiebacks is plenty, plus it will free up some budget for other parts of your home makeover. Nothing could be more reflective of French countryside living that beautiful French lace. 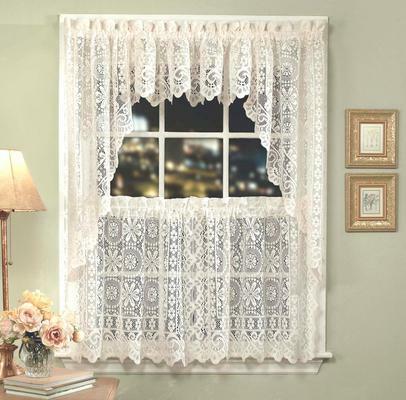 Use lace fabrics to create a window net, or use lace trim to subtly decorate your curtains, valances and tiebacks with lace trim. For a genuine French country stamp, stick to dainty Chantilly laces or a bolder and heavier guipure lace. Either will give your home a traditional homely feel that can be met with cool colour palettes and modern features, such as textured soft furnishings and metallic accents, to create the perfect transitional and comforting mix. Although much more work is involved in this it might be difficult to create if you’re undertaking a makeover of just one room, if you’re making structural differences to your home or you’re adding or updating the window panes, leaded patterns can really add intricate detailing to your home and give your home a luxurious feel. Unless you have huge budgets you might be constrained to the types of patterns you can add to your windows, but most window manufactures will offer a wide choice so you can select the best for you, though traditional diamond or Georgian checks will help you achieve a classic and stylish French home. Similar to leaded window patterns, window grilles provide a more temporary measure to provide more shape, grace, and style to your windows. Easily installed and easy to purchase in standard measurements, and not much more expensive when built bespoke, window grilles can give you the luxury that is similar to a Mediterranean Juliet balcony, only without the opening doors. It’s a quick way to add more contrast and flair to you home, but it won’t take up any valuable space in smaller and fuller homes. 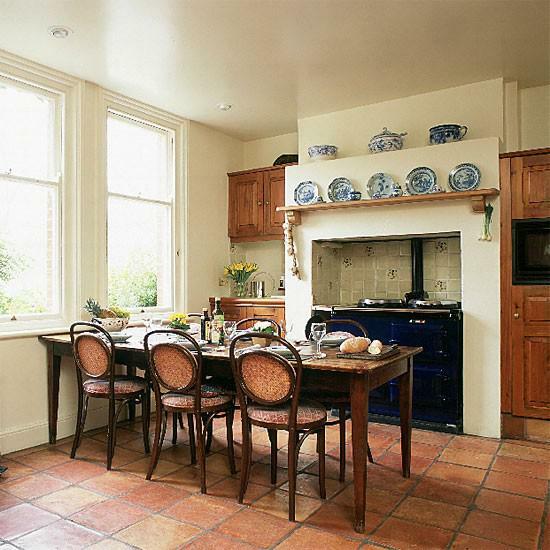 Most French country style kitchens have a lot going on, and that’s because traditionally these rooms have been the heart of the home, a place for cooking, eating, and socialising as a family. With limited space, walls and ceilings are often used to store homeware and there is sometimes a very ‘busy’ atmosphere. If giving up privacy in your home isn’t an issue for you, you can go for a complete lack of window treatment in your home to bring focus onto the countryside outdoors and the natural light an exposed window will attract. If you’re lacking in window space or your room feels bare and you want to add more decoration, you can treat your doors in a similar way as you would treat your windows. 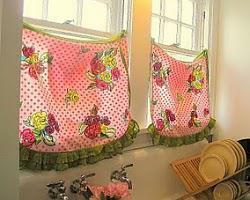 Curtains, valances and nets are all ways to make the most out of plain and dreary doors in a non-permanent way. 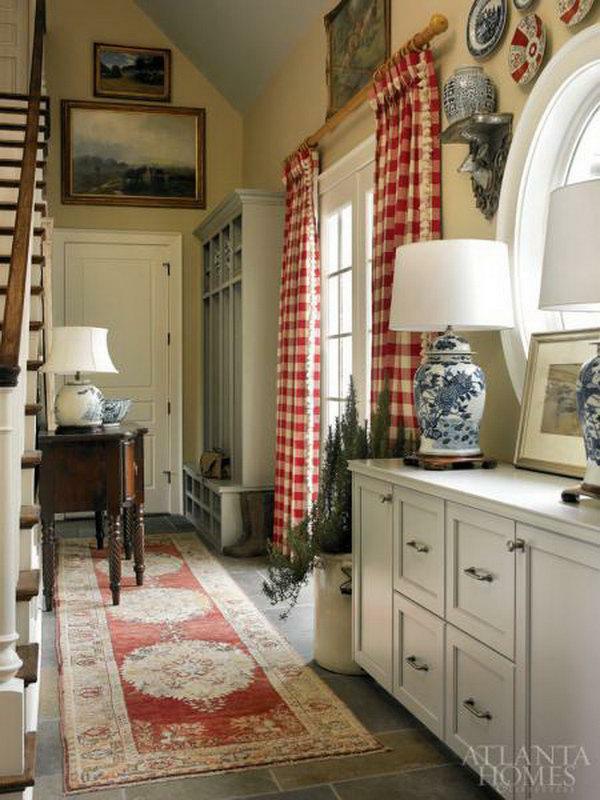 A farmhouse sliding door will also help to make much more of a feature out of your entrances. Think about floral wreaths and busy fabric to decorate your door too, and make the most out of the large and plain space that each door provides. Usually small and not too overbearing, tiebacks should be treat as an interior design statement and not just as necessary afterthought. We’re often guilty of buying the first tiebacks we see that vaguely complement our curtains or nets, but with a little more thought a great set of tiebacks can create a fantastic contrast and amplify the style of your home. 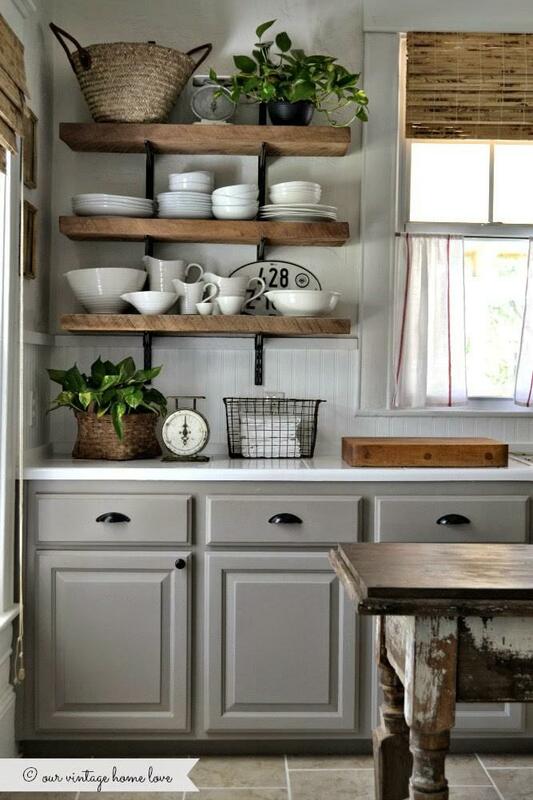 Using metal hold backs or antique style tie back holders in brushed finishes will help achieve a rustic look and feel. Stay clear of bolder gold and silver shades, and head towards copper, brass and bronze for antiquated countryside style. Decades ago, one of the wonderful charms of rural living France was the limited access to stores and the creativity people employed to make their own soft furnishings using sewing machines and hand sewing skills. Even beginner sewers can create their own sets of curtains and voiles or they can enlist the help of a local seamstress for a small fee. Selecting your own fabrics and creating your own window dressings will create a unique style that can’t be replicated, but mimics the traditional fashion of homemade interiors.